** The following article was copied form theparentcue.org. Picture it. Family movie night. You’ve just popped an industrial-size bowl full of popcorn. You’ve got a mug of hot chocolate for each kid, with exactly 13 mini marshmallows each. Everyone’s snuggling under blankets and settling in for some much-needed R&R. Then, the big question . . .
It’s a dangerous thing to ask. You could end up with the latest Disney animated masterpiece. You might be in for a treat like the Greatest Showman. Or you might hear those three disastrous words . . . The Emoji Movie. If you’re anything like me, you last about 30 seconds before you start glancing over at your phone. You think to yourself, “They probably won’t mind if I check my email.” Then you check football scores. You look at your Instagram likes. Your kids seem totally engrossed in the movie, right? What’s the harm? A simple cue can signal something fundamental to your kids. That’s the good news and the bad news. Picking up your phone might not seem like a big deal. But let’s be honest. If your daughter looks over and sees you checked out from the movie—something she likes; something she chose—what does that communicate to her? To a certain extent, this is perfectly healthy. All of us need some space and some autonomy in our lives. We’re different people with different likes and dislikes. But here’s the danger: If everything you enjoy is separate from your kids, you may slowly, unintentionally, distance yourself from them. To bridge that distance, a lot of families take vacations where they’re forced into close proximity with each other. That can work. Making memories together can certainly add valuable relational deposits. But that also begs the question: Do we really want to present quality time as an exception? Do we want the status quo of our family to be defined by parallel, but separate lives? Our simple cues communicate more than we realize. As a parent, that’s a sobering reality. But remember how I said it could be good news, too? I believe our kids notice when we take small steps in their direction. Not giant, sweeping, expensive overtures. Little things that communicate value. When your daughter starts to tell you the funny thing her friend did at school, what if you shut the computer and gave her your full attention (and eye contact)? Maybe you didn’t quite finish your project during work hours. What if you chose to put it away until after the kids’ bedtime so you could carve out time for family dinner at the table? What if you asked questions about your son’s action figures and came up with your own silly chapters to add to their backstory? None of us gets this right all the time. 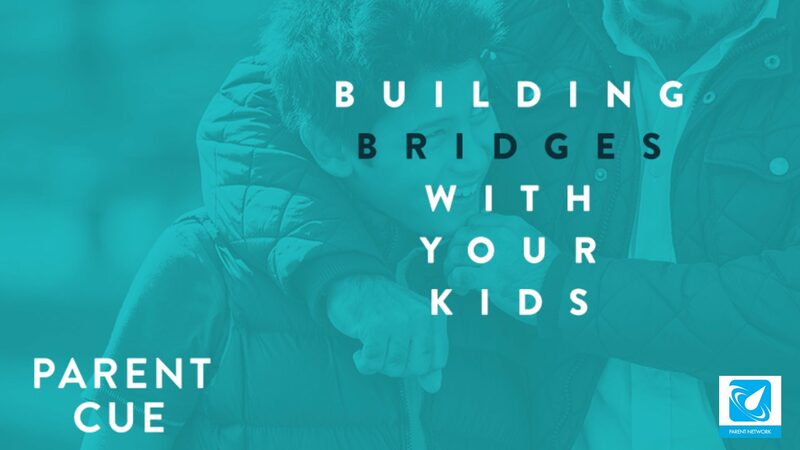 There’s always more we can do to build bridges to connect with our kids. But I think one of the biggest reasons we miss those opportunities is that reaching out seems intimidating. The gap seems too wide. We forget that intentional small steps can have a cumulative impact. Over time, they can send you confidently in the direction you want to go. When my kids were just starting to walk, I remember that all I had to do to connect with them was sit down on the floor. When I did, they would head straight for me. They’d giggle and flop all over me. It was so simple and so pure. All it took was a decision on my part to be present. I think the same principle is true for older kids, too. Maybe it just looks like a night in front of the Emoji Movie.